USANA, word! : We lived it all right! We lived it all right! It’s great to be back home after a crazy few weeks away. 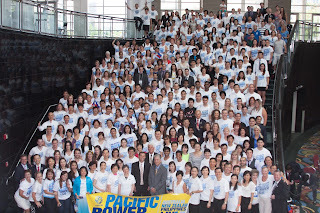 Of course, I am talking about the great adventure that was International Convention 2013! Our three-day event began with a home office tour; we were met and greeted by the superb staff at HQ and saw where our world-class products are researched, developed and manufactured. Then, it was onto registration and straight onto the training stages where an all-star line-up gathered to present clear information about everything you’d ever need to know about our proven health products. Resident scientist and health supremo, Dr John Cuomo, spoke about the essential health that is Essentials™. And, audiences had options to attend presentations about business building and going for gold, too. Between events, we shopped, shopped and shopped some more! What with the fab products, merchandise and sales tools, it was clear to see why no one goes home without some excess baggage! 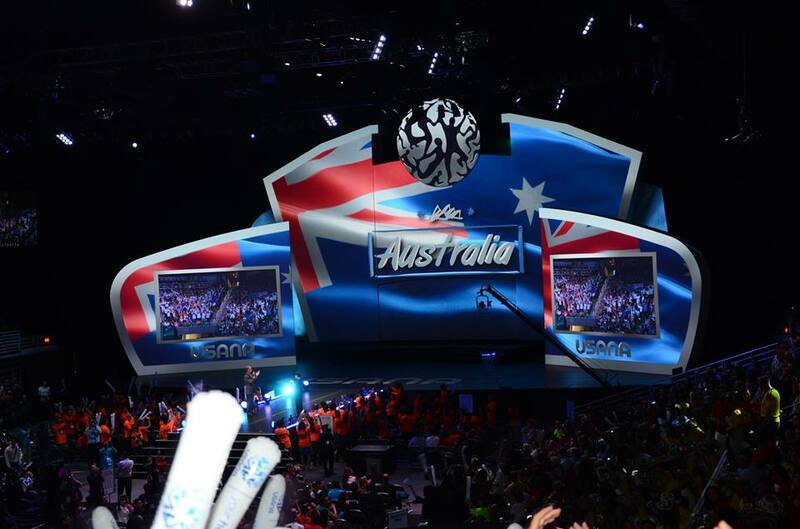 Later, USANAfest kicked off some downtime – it’s always a highlight! 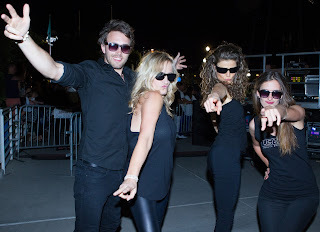 This year, we rocked to a Blues Brothers theme. We danced to the surprisingly tuneful tones of our very own Vice President, David Mulham, who this year showcased his singing talents as well as his drumming skills! 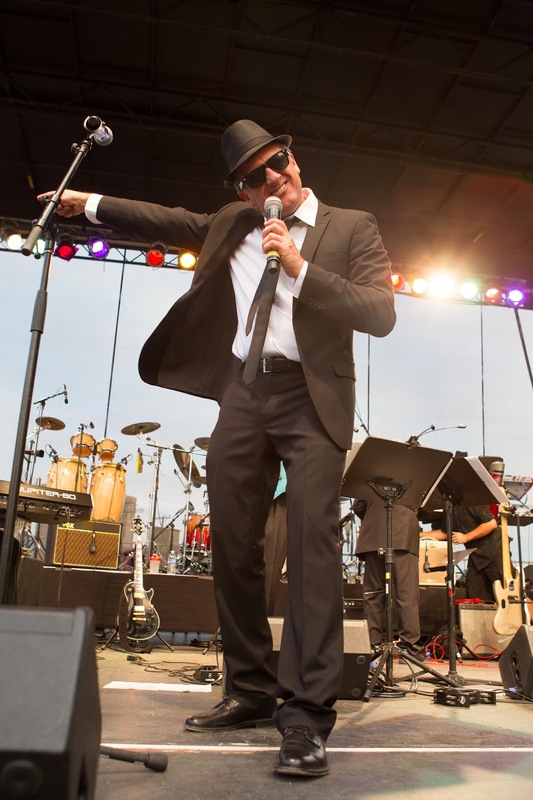 Personally, I was super excited (OK terrified at first) to be singing backup on the indie classic, Mustang Sally. There I am with the extremely talented Fi Jameson Folland, Nick Taylor and Viola Hug. Later, we rocked to the USANIMALs in action. What a fun night! 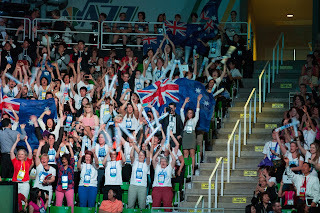 Our Aussies and Kiwis loud and proud! After an energising Zumba workout with Carmen Marshall (and a 6.30am start! ), we were really buzzed and ready to start the day. 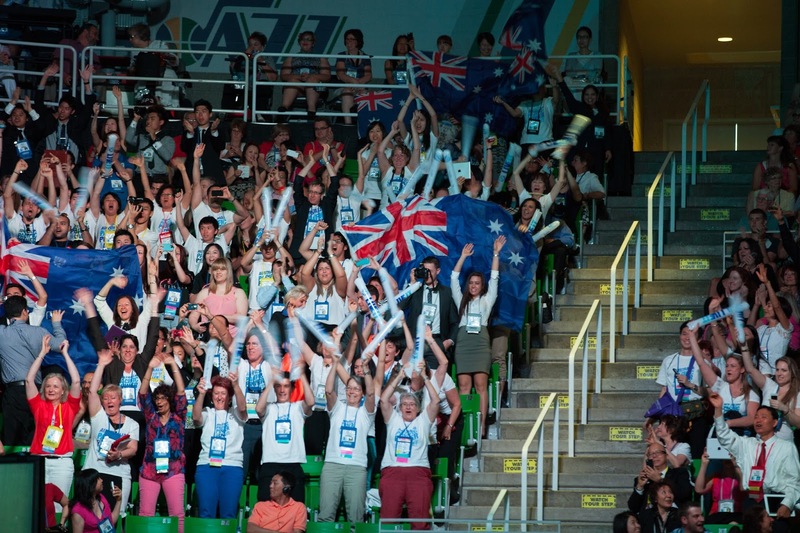 Our Aussies and Kiwis made us proud as we prepared for the Pacific Power session. Seated in our specially secured spaces, we enjoyed a spectacular kick off of to the morning general session. Smiles all round for our Pacific Power photo. Top speakers included the inimitable Denis Waitley, the dynamic Aaron Dinh and a host of inspirational individuals. It was an action-packed day – so much so that there was only time for a Nutrimeal™ shake for lunch! Later, there were more training stages on offer. I particularly enjoyed the presentation by one of our favourite health experts, Dr Karen Wolfe, who spoke about Science Meets Delicious in her low GI, high fibre Nutrimeal-focussed presentation. 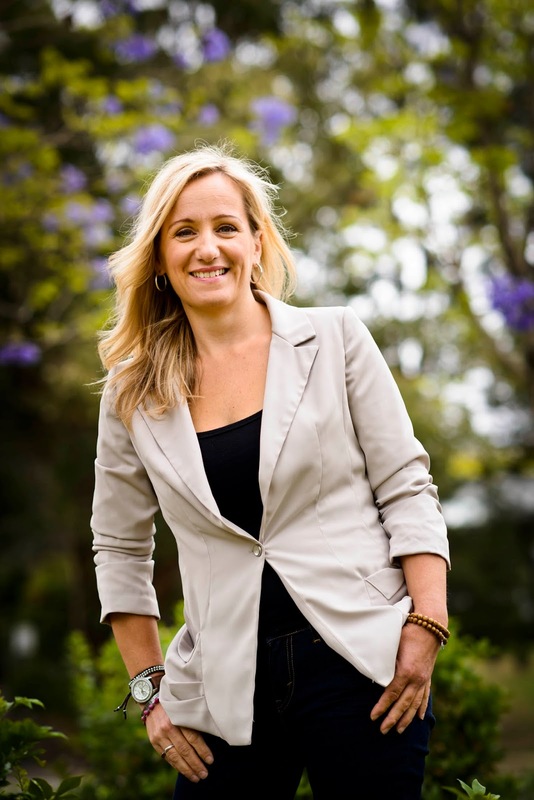 We also learned how we could close the generation gap on Gen Y with Nancy On and Matt Chionis. Then, the evening session focussed again on health showcasing our very own Dr Libby Weaver. As well as some tasty new products that were launched at Convention, news broke about the some radical and innovative business changes set to boost business for every USANA business owner. The third and last day of International Convention started with a peaceful meditation led by members of the Sanoviv Team. It really is a wonderful way to clear the mind and totally let go. Later, we were treated to more training and two more general sessions. In-between sessions, we fit in a meeting with friends from across the world – from California to Mexico and the UK plus we welcomed our new Colombian friends too. This event was truly a fun, learning extravaganza. The Aussies hit centre stage! Friday night was an early night – we had to be in top form to run the Children’s Hunger Fund – Champions for Change 5km fun run in the morning. 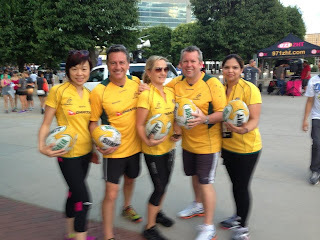 Network Development Manager Cecilia Chan, VP of Pacific Region David Mulham, Head of Network Development and Marketing Geoff Watt and Senior Product Manager Josephine Daly all ready to run! I was thrilled that the entire Australia, New Zealand and Philippines team got involved including our wonderful Philippines General Manager, Duday Gaston. Afterwards it was straight into training. Some of the exceptional presentations on the Saturday morning line-up included one by the innovation that is Daren Hardy – Publisher and founding director of Success magazine. Darren spoke on leadership and what your need to do in business to have that X factor! He was followed by everyone’s favourite TV doctor; Dr Mehmet Oz. Dr Oz shared just a tiny part of his wealth of health knowledge. Our CEO Dave Wentz presented as did everyone’s number one favourite, Dr Myron Wentz. All too soon, it was time for the closing sessions in Saturday afternoon. But even as we did so, each of us came away with a number of aims for the future. 1. Teamwork is everything. Individually, we can see success, but in a team, that success in amplified and huge. So get with likeminded people, work together and everyone will succeed! 2. People go as fast as they can go. But they also go as fast as their leader. So be professional. Be inspirational. Be the best you can be – and lead your team to success! 3. There are no excuses. You can do it. So just do it! And there we have it. Another super successful Convention with insider health tips from the experts and business changes to help launch your career to even greater heights! It’s wonderful to be a part of such a great Company – one that shares and cares!